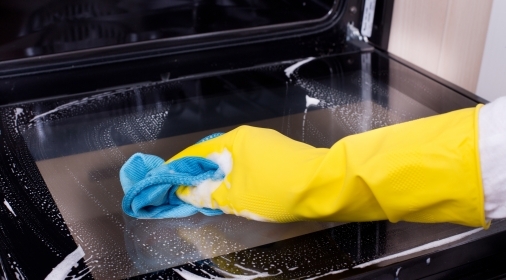 When it comes to cleaning your oven, it can often be a daunting task, not knowing where to start. But, did you know that electric ovens can be cleaned differently to gas ovens? 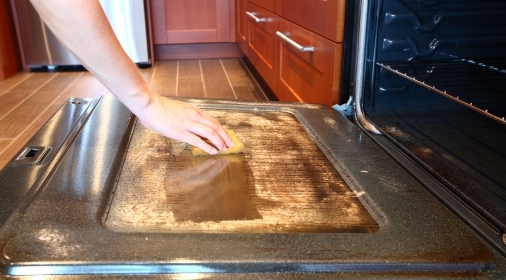 Here are our top five tips for cleaning your electric oven. In the morning, air your oven for a while, before wiping down with a little bit of washing liquid and warm waterThis is an effortless and effective way to get your oven shining. Our second tip is here to look after you. Water and electrics do not mix well, be sure to turn your oven off at the mains before you start cleaning it. 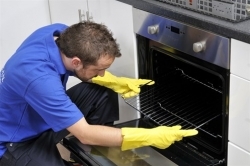 When cleaning your electric oven, it is a good idea not to scrub the elements. It can be tempting to scrub the heating elements in your oven. 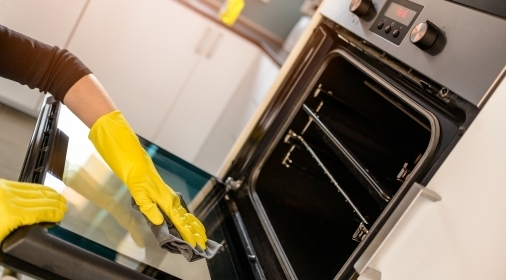 But, any left-over cleaning residue on your element can react with the heat of the oven next time you use it, and is likely to leave an unwelcoming smell. Many cleaning products can be harmful to your skin if exposed to for a long period of time. You should also try to use natural or caustic free cleaning products. These types of products won’t corrode the internal structure of your oven and are more environmentally friendly (particularly around pets). If all of this sound too daunting or time-consuming, you can always call in the professionals. Our oven cleaning specialists are fully trained to clean all types of ovens, from electric to AGA and microwaves. Click here to get your free quote, or call us on 0800 840 7127.